See what we did there? Score … £20 note … yes, don’t worry we won’t give up the day jobs, but we will encourage you to vote for Victorian photographer Julia Margaret Cameron as the next face for the £20 note. Readers may have heard that the Bank of England is currently seeking nominations for the next person of significance to appear on the £20 note. Plans are in place for the next £20 note to celebrate Britain’s achievements in the visual arts and the rather lovely Mrs Middleton’s Shop in Freshwater (go visit if you haven’t already) is spearheading an Island-related campaign. Mrs Middleton is hoping to encourage Islanders and visitors to vote for the celebrated Victoria photographer, Julia Margaret Cameron (Dimbola Museum and Galleries). As a pioneering woman photographer, and, as Mrs Middleton says, “arguably the first in her game at the close-up”, we’re sure you’ll agree that JMC would be a magnificent addition. “It would be great to bring her relevance to the fore on the British Isles, her importance in our heritage seems more widely known in the USA (where the Getty Museum bought so much of her work) and in Canada. 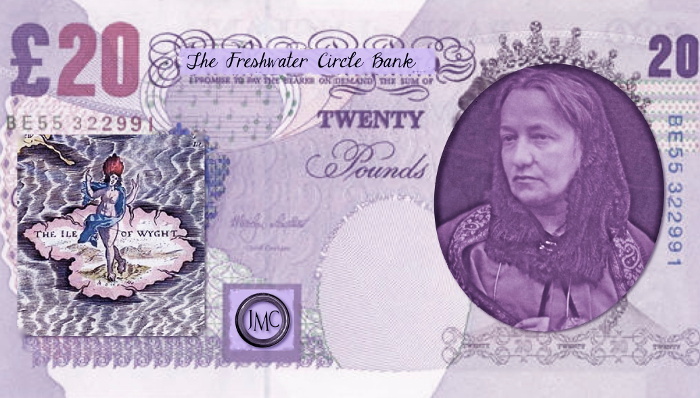 We love this fun mock-up of a ‘Freshwater Circle’ £20 note that Mrs Middleton has shared. If you agree that Julia Margaret Cameron should be the face of the next £20 note all you have to do is pop over to the Bank of England Website and enter your nomination. 33 Comments on "Let’s help Julia Margaret Cameron make the score for the next £20 note"
Come friends, it’s not too late to seek a newer world. Will Gompertz of the BBC made the case for Julia Margaret Cameron in this report… http://www.bbc.co.uk/news/entertainment-arts-32831975 Well worth a watch! She seems to have replaced the Queen in the picture. I haven’t got any £20 notes. With the Island Child Poverty Figures at 16,800. What is Andrew Turner MP going to do about that. He’ll vote to restrict welfare benefits and perhaps push for a UK opt out on the definition of poverty. Margaret Cameron, I’d like to see Margaret Thatcher on them, someone who gave the working class a chance to raise their standard of living….that is the ones who could be bothered to get of their backsides.. yes I’m expecting lots of negatives so don’t bother, your the latter sort I’m no doubt revering too. I think not, maggy thatcher the milk snatcher. The person who decimated our heavy industry, and for those Euro sceptics amongst you, the person who signed the Maastricht treaty that transformed the EEC into the EU. Correction: it was John Major that signed Maastricht not Maggy. She just destroy our industry and close our mines so that we could import coal from Australia. …… and then reneged on the promise. The EU referendum will be costing us billions of pounds in lost or delayed investment. David Cameron will fail to get any meaningful change in the UK’s relationship with Europe, although they will cobble together some words that sound as if he made progress. 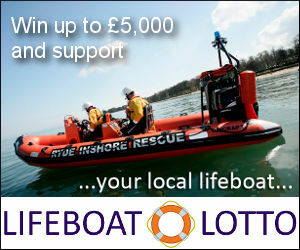 But as with the so-called rebate that George Osborne announced last year, it will be meaningless words. Both the Libdems and Labour party thought that having a referendum on Europe was insane. The fact of the mater is that that referendum is now going to happen. That particular battle is lost. Both Labour and the Libdems have accepted that the referendum will happen and are now focused on ensuring that we stay in the EU. But don’t comments by LibDem leaders (Clegg and Cable) make them look a little ambivalent on the matter? I think Cable made his thoughts quite clear, a referendum is a bad idea as it unsettles business and risks our economy. But a referendum we are having, so lets go out and get it won. As I said, the Libdems and Labours stance is the same, they didn’t want it but now it’s here lets fight for the EU. Well money was Thatcher’s god. Thatcher survived (for a time anyway) by wrapping herself in the Falklands flag. Cameron has said already he will duck out in 2020. I’m kind of getting the feeling that we should not be going for Thatcher on the banknotes then. Julia Margaret Cameron it is then. And their contribution to the visual arts (requirement to be on this note) was? OK- how about Katie Price for her frequent contributions to visual art on Page 3? It would be a bit more interesting than Madge or JMC! So Tracy Emin would have to die first?